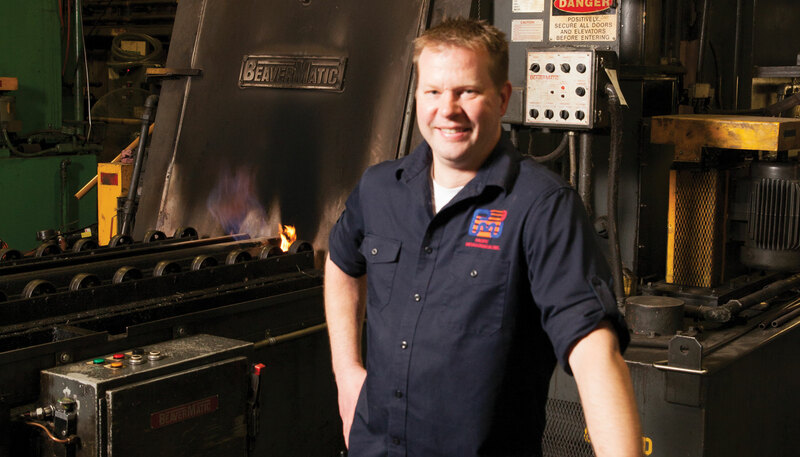 HEATING: Derek Fallen is president of Pacific Metallurgical. Heat-treating metal happens to be an ancient process, but it involves a lot more than sticking a piece in an oven. “There’s a ton of technical expertise that goes into what we do,” says Pacific Metallurgical President Derek Fallen. The company has eight metallurgical engineers who know the properties and techniques for handling stainless steel, titanium, aluminum and other alloys. Now in its third generation of family leadership, Pacmet operates 60 furnaces at its shop, with 80 percent of its business coming from the aerospace sector. The rest comes from such diverse product types as surgical instruments and race cars. Physical disabilities come in all shapes and sizes, posing a challenge in finding the right equipment that accommodates individuals while keeping them safe and comfortable. Bodypoint has been answering the challenge since 1991, designing and manufacturing belts, harnesses, wheelchair accessories and attachment hardware that not only keep the user securely in place, but comfortably and properly positioned as well. It’s not enough to make those products; Bodypoint also has to introduce them to the world. It hires experts who work with doctors, physical therapists and rehab clinics around the world on what its products can do for users. The work is paying off in recognition within its niche; wheelchair manufacturers are coming to Bodypoint to understand how to use their products with Bodypoint’s. One other distinctive feature of Bodypoint: It is a manufacturer still producing in Seattle.